This last winter, I passed the time admiring the endless stream of jackets popping up on my blog roll. I have sewn a few over the years, but for me that perfectly tailored jacket still had an air of mystery about it. 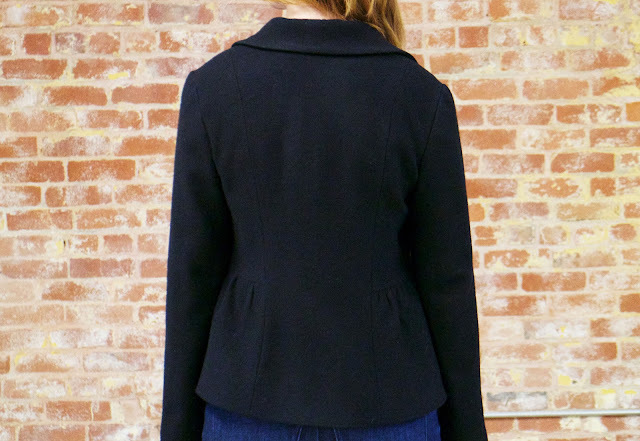 In the spring, I decided there was no better way to learn than go directly to the source: Beth, the queen of tailored jackets. 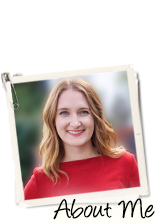 Beth is a local sewist and sewing teacher who I have gotten to know over the past few years through meetups and fellow bloggers, and she is well known online through Craftsy and her blog, SunnyGal Studio. As we walked through the aisles of our local fabric store one day, I somehow convinced her to show me the secrets to her latest Simplicity #2455. It had been a while since I had taken a sewing lesson, and I was very eager. I started by sewing up a full muslin before our meeting. I graded between a size 12 and a 10 in the shoulders, but otherwise sewed everything up as is. At her house, I tried the jacket on and we decided to add one more adjustment: lengthening the front by adding a wedge at the waist. This is an issue I've noticed in other jackets, where the front hem angles up a bit on me, and it was nice to be able to fix this properly in the muslin stage rather than try to disguise it with the hem. 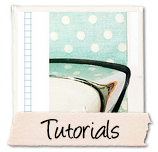 Beth sewing tip #1: Make a muslin. Next we set about cutting out the actual fabric, a soft black wool I picked up from the remnant section at Stone Mountain. It was so nice in fact that the clerk wondered aloud about who had let those 2 1/2 yards slip in there. Anyway, Beth and I picked out our "right side" of the fabric, and carefully folded it with wrong sides out on her cutting table. I think she quickly caught on that I usually tend to be a bit haphazard about these things, but I tried my best to learn from her meticulous ways. 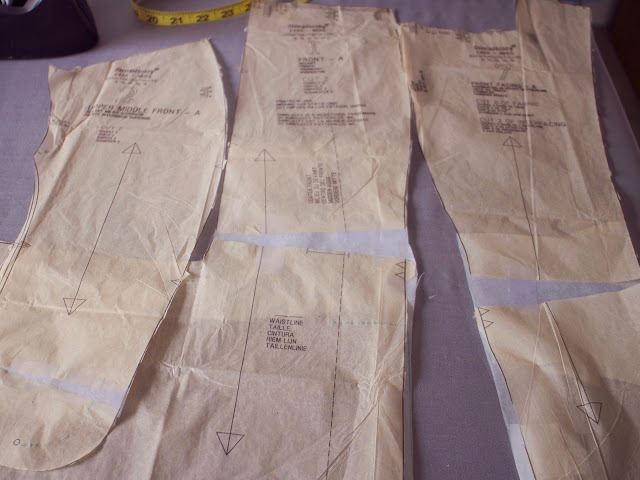 Using lots of pins, we laid out the pieces across the length of the fabric, being careful to measure the grain line on the pattern so that it lay equidistant to the selvedge. Beth sewing tip #2: Precise pattern cutting is the basis of a nice garment. Next we did tailor's tacks. Weeeee! I had previously thought that tailor's tacks were one of those too-complicated-sewing-techniques that I had no use for. As Beth showed me, however, they are actually quite quick and easy, and really very precise. Perhaps I should upgrade from the classroom chalk I've been using to mark points? To make one, you just take a length of thick thread and make a single quick stitch through the marking on your pattern and the fabric underneath. You then snip and move on to the next one. 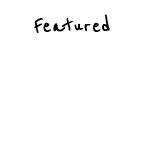 (Or, here's a Crafsty tutorial.) Beth sewing tip #4: Tailor's tacks are fun! Then we moved on to the interfacing. Beth takes hers very seriously, and buys it by the yard from FashionSewingSupply.com. 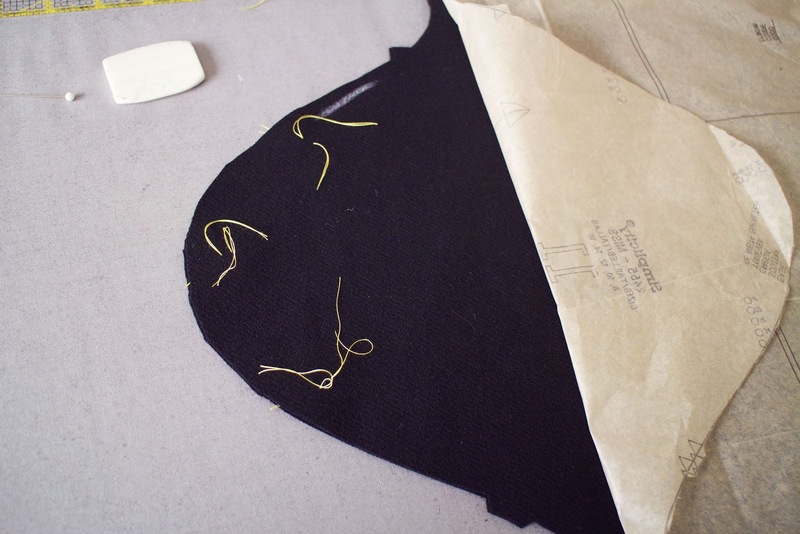 (Beth sewing tip #5: When it comes to interfacing, buy the good stuff!) We tested out a few on a scrap, and decided on ProSheer Elegance Light for the collar and lapel, and ProWeft Supreme Light for tailoring the under collar (both in black). For tailoring, Beth subscribes to the idea that what you do to one side you must do to the other: If one part of your fabric is stabilized with interfacing, the corresponding part should also be stabilized in order to give the fabric a similar drape all around. 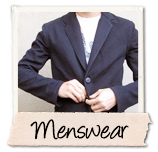 For example, if the collar and lapel facing is interfaced with a medium weight interfacing (like the ProSheer Elegance Light), then the front of your jacket should also be stabilized (lighter weight interfacing is fine, such as the Pro Weft Supreme Light) in order to give the fabric an even hand. The same could be said for the front and back of a jacket. Using this principle, we interfaced the lapel area of the jacket (not just the facing) to give it some body in the chest. 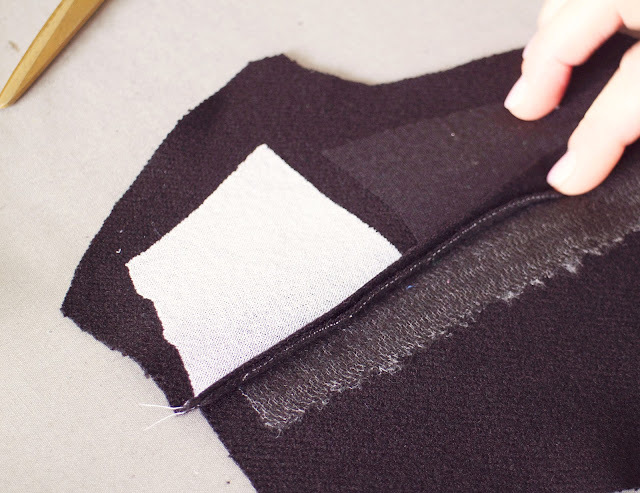 To help the hem of the jacket and sleeve hang correctly, we interfaced those areas, too. 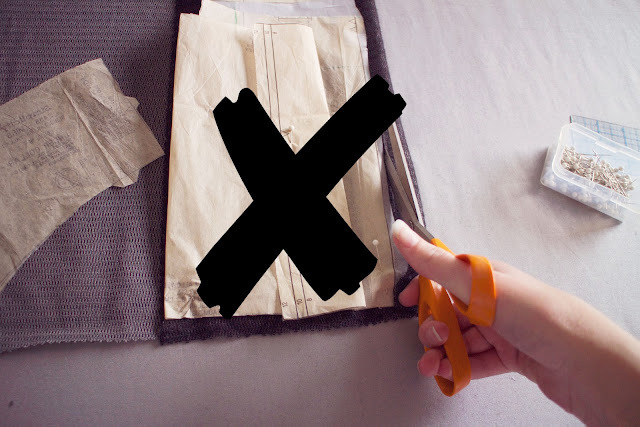 To do this, you cut the edge with pinking shears so it blends well with the rest of the fabric. We then pressed it on with lots of steam. Beth sewing tip #6: After fusing your interfacing, let the fabric sit for a second to cool down so the glue sets in the proper place. I also learned that pressing wool and certain other types of fabric can scorch the fabric and cause it to become shiny. If you think about it, you know what I'm talking about. To avoid this, Beth insists you always press the wrong side of the fabric only. 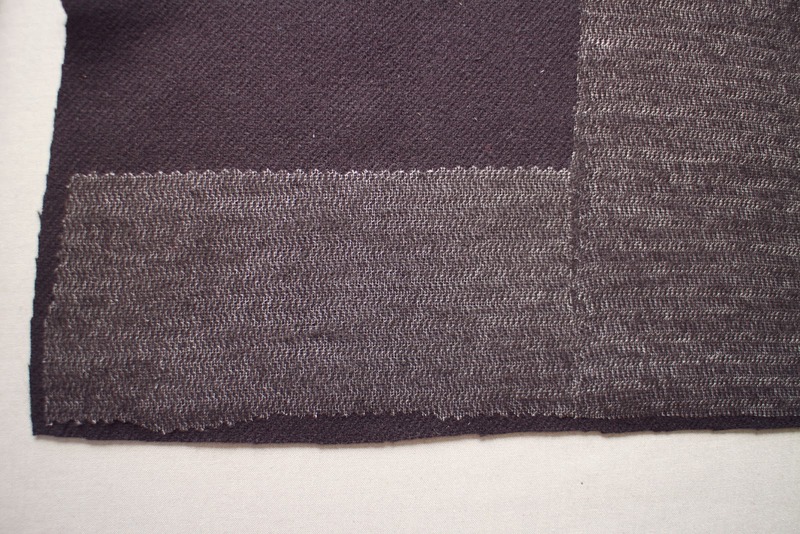 And if you must press the right side, use a press cloth to protect the fabric. It really does help! Thanks so much for all the information, it was incredible. I would love go sew with the two of you. There would be so much to learn and take in. Very exciting!! 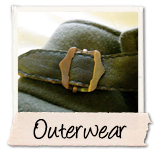 After a vacation next month, I'm hoping to make some outerwear (3 jackets for me and maybe a coat for my husband) - so this is great information! Can't wait to see the rest! Great post thanks for the tips, I always cut the wrong way round!